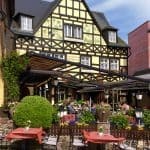 AmaWaterways Enchanting Rhine River cruise is a dream come true. Read on and you’ll understand why. 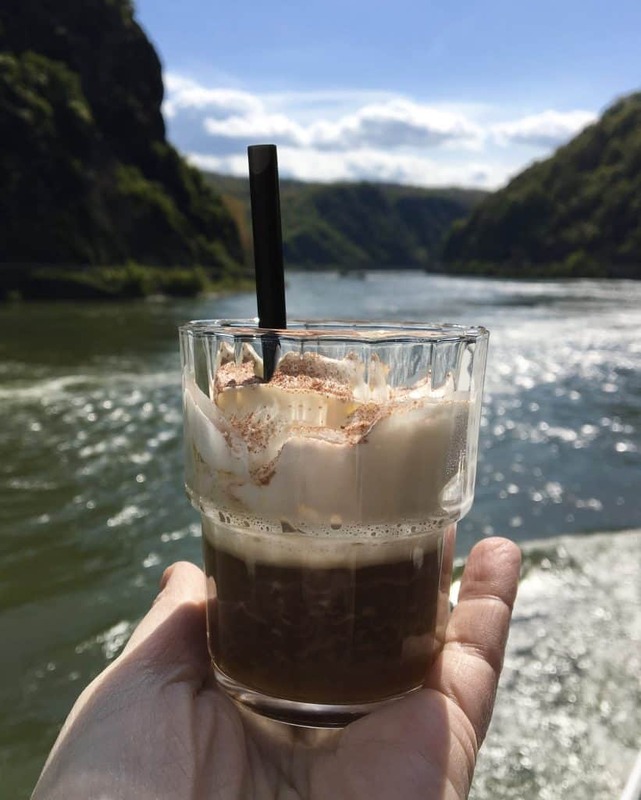 If you’ve ever wondered what it’s like to take a European river cruise, you’ll want to stay tuned as I’m going to share my experience on our AmaWaterways Enchanting Rhine River cruise in detail in upcoming posts. Disclosure: my mother and I were hosted for an Enchanting Rhine River cruise courtesy of AmaWaterways. No conditions were made for a review and as always, my opinions are solely mine. As succinctly as possible, I want to tell you that AmaWaterways Enchanting Rhine River cruise was an absolute dream come true for my mother. She has wanted to take a European river cruise for many, many years. 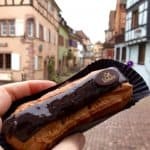 However, it is not the fact she was finally able to realize this dream, but experiencing the cruise on AmaWaterways made it an unforgettable trip for both of us. The quality of the trip, from beginning to end, from our stateroom to the top deck, from the cleaning staff to the captain of the ship, was phenomenal. 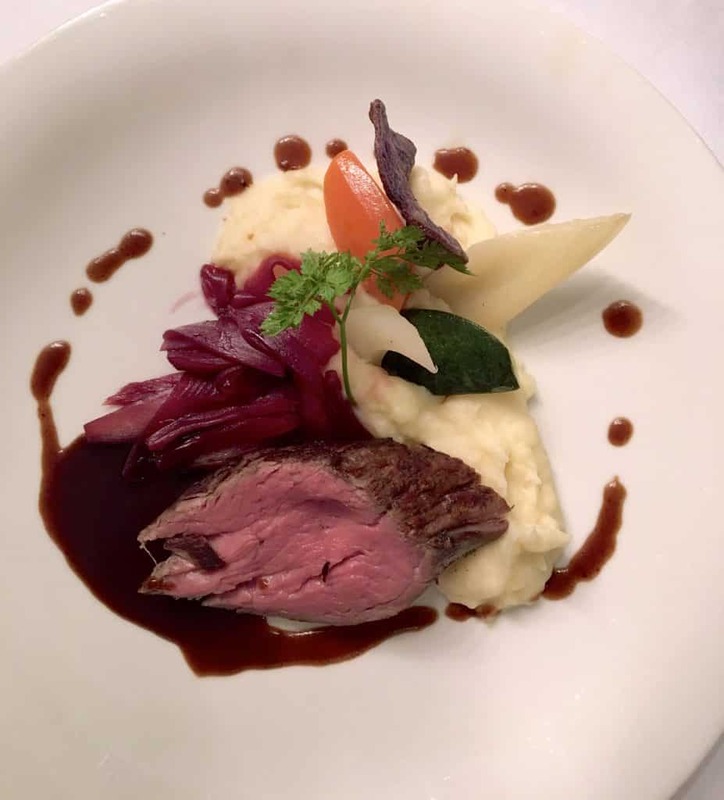 We were not only able to enjoy fabulous meals throughout the cruise, but the excursions were well beyond both of our expectations. If you were to ask what stood out to us even more than the fantastic fare on board, and the beautiful accommodations and tours? My mother and I agreed, and we would respond: the people. The staff and crew of AmaWaterways is what made our cruise. Each member made our experience so incredibly special, and made us feel as though they were on the ship just for us. The best part is that they treated every single guest in this manner. We may not remember every detail of the journey from Amsterdam to Basel, but I can assure you, we will never forget how the staff made us feel onboard. All the details that touched us in some way due to a kind gesture, when they made us laugh, or went above and beyond what was expected of them; not once, but every day. One could clearly see how they loved working with each other; they were more like a family than a team. NB: The itinerary below is what I chose to do from all the different options we were given for excursions. 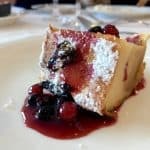 You can see all of the choices that we were given on the link to AmaWaterways at the bottom of this post. Day 1/2 – Amsterdam, Netherlands. Embarkation and Welcome Dinner. 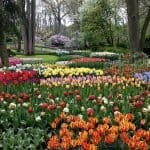 Keukenhof Gardens. 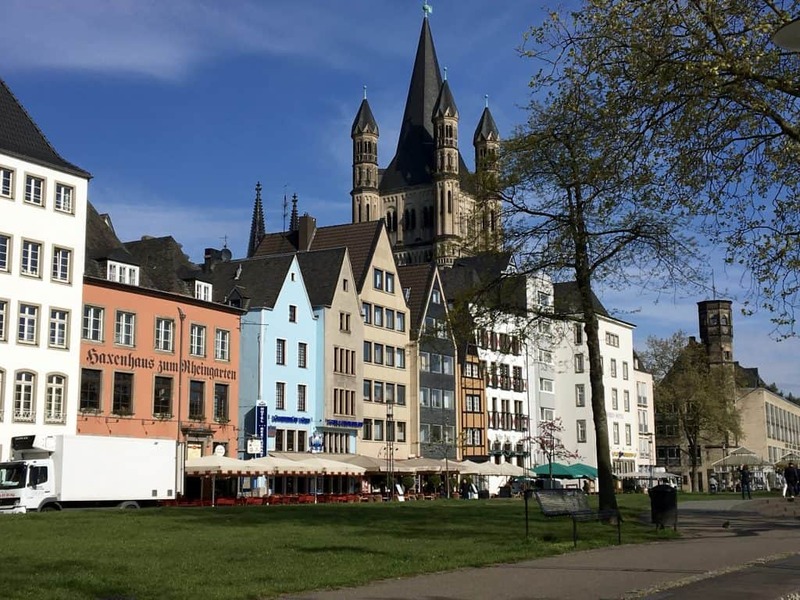 Day 3 – Cologne, Germany: city tour and cathedral. Koblenz, Germany: evening walk. 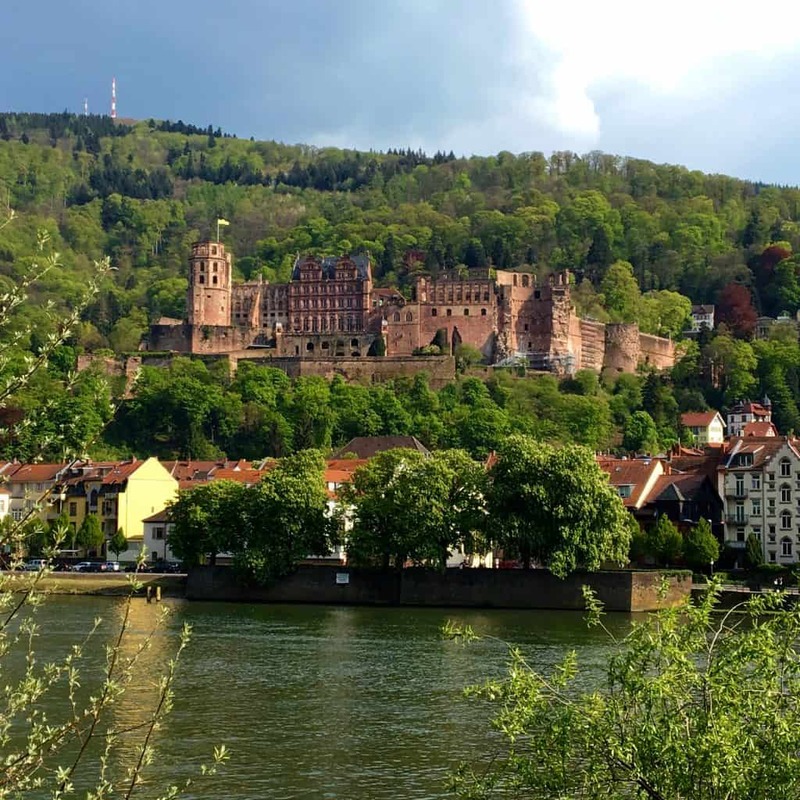 Day 4 – Rhine Gorge, Germany (castles) Rüdesheim, Germany: wine tasting and evening coffee. 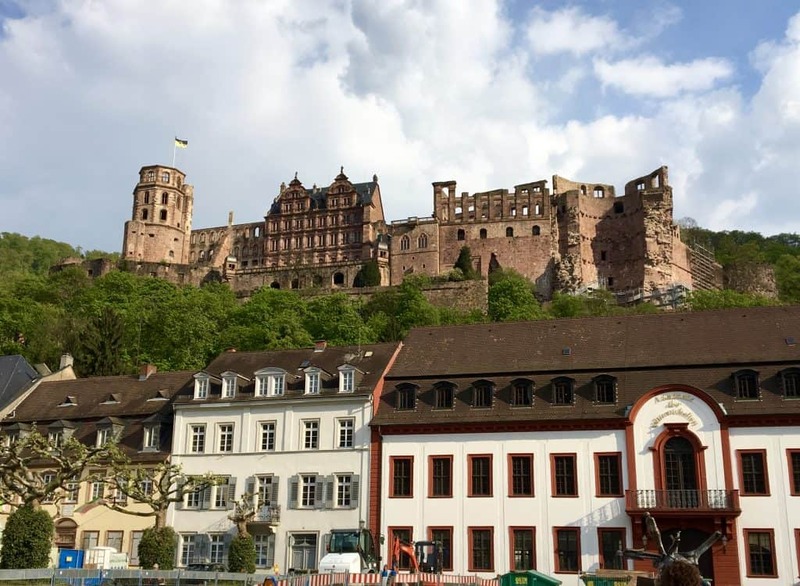 Day 5 – Speyer, Germany: Heidelberg excursion including the castle. 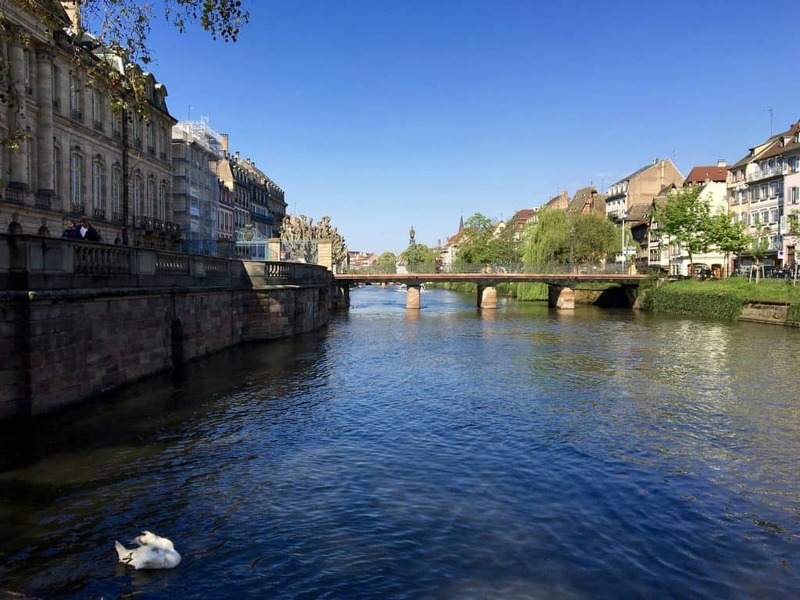 Day 6 – Strasbourg, France: city tour. 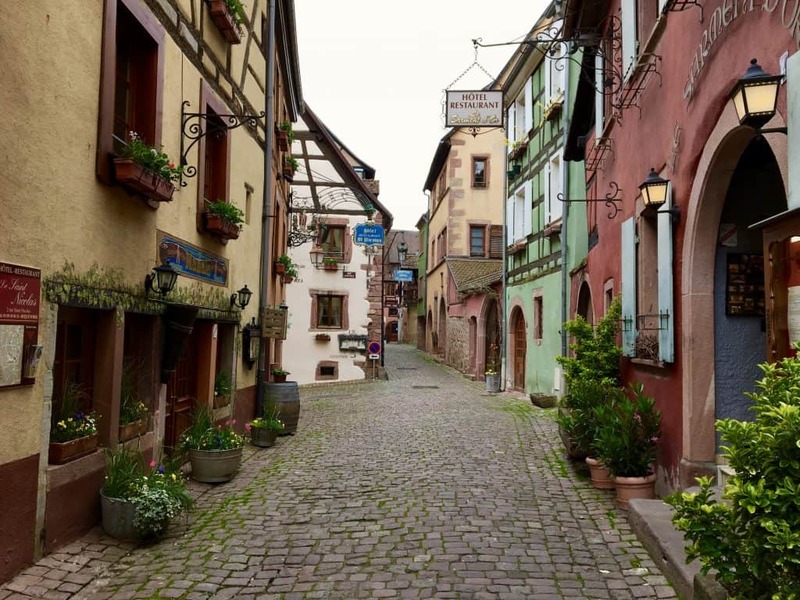 Day 7/8 – Riquewihr, France: walking tour. Basel, Switzerland: disembarkation. Disclosure:my mother and I were hosted for an Enchanting Rhine river cruise courtesy of AmaWaterways. No conditions were made for a review and as always, my opinions are solely mine. I am posting this in accordance with FTC regulations. What an amazing way to see Europe! :) And you are right- the staff, the people can really make or break a travel experience. 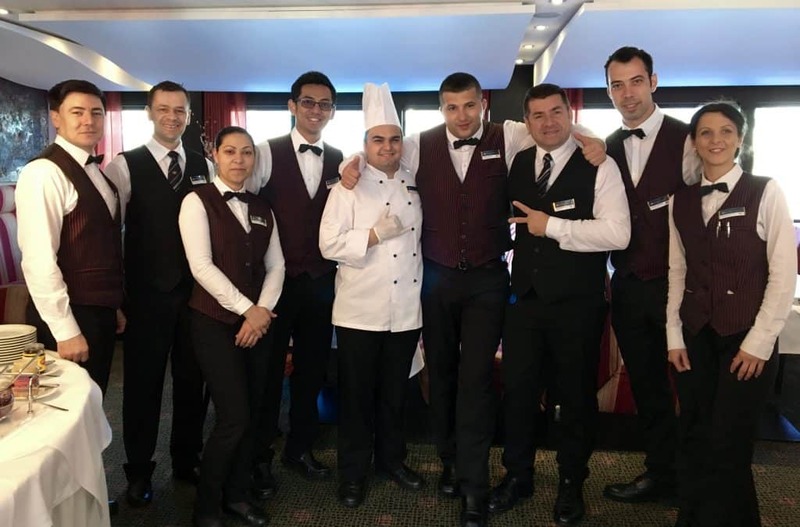 Sounds like the crew of AmaWaterways cruises is doing it right. Absolutely Carrie, on both points! Just fabulous. There’s a hiking trail that runs for nearly 100 miles along the Rhine River called the Rheinsteg Trail. 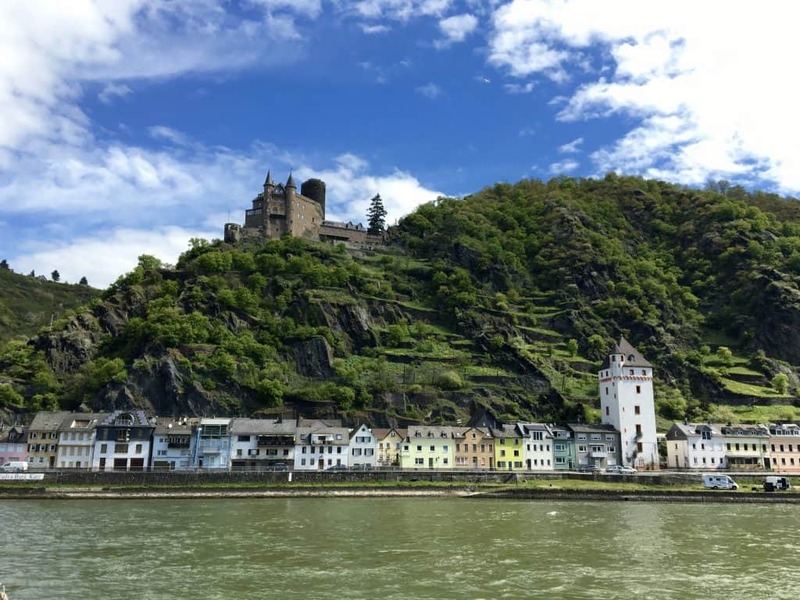 I hiked part of it last fall and the hike took my right past the gorgeous castles dotting the Rhine in villages like St. Goar. I can only imagine that the scenery from a boat on the river must have been stunning! It sounds like I need to go back and take it all in again from the perspective a luxurious river cruise. What a magical trip! It really takes me back to summer last year, when Mark and I were in Germany. Looks like you’re having perfect weather, too! It was magical, David! The weather didn’t comply all the time, unfortunately, but I did manage to get some shots when it wasn’t raining! ;) If Mum and I enjoyed our cruise as much as we did in the weather we were dealt, I can only imagine how much more incredible the cruise is in sunny weather! Wow! Looks like you had a fabulous time! I’ve only been on one luxury cruise, to Alaska, but I did take a boat down the Rhine, and did the castle tour when I toured Europe after college. I would love to try a leisurely cruise in Europe! The food sounds fabulous as well! Gorgeous destinations! You’ll have to do it again, but properly this time, Cynthia! You’d love it! 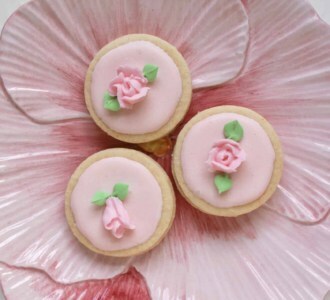 What a fun experience for you and your Mom! I’d love to take my Mom on a river cruise, but I’m a little worried about the amount of walking on the excursions. She has a hard time with that. This is a beautiful area that I’ve not experienced yet… someday! Depending on your mom’s level of difficulty in walking, I can tell you that AmaWaterways makes sure to cater to everyone. 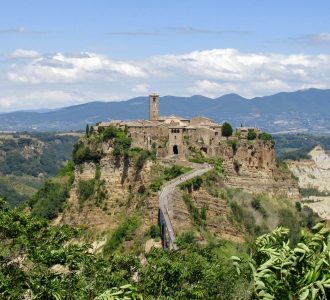 Each excursion into villages or cities includes “gentle”, “moderate” and “active” walking tours, so that no one feels uncomfortable, either being left behind or being made to walk slowly to accomodate others. It’s a great system and everyone was happy with it! I’m now really thinking of taking one of these cruises, Christina. 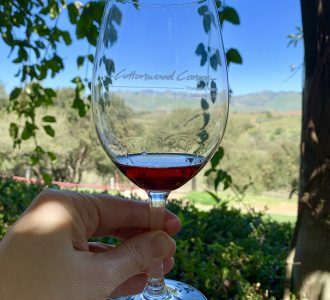 I love your descriptions – you should be writing their travel brochure! Not only the destinations look picture postcard idyllic (great photos) but I agree what you say in that the staff is what can make a holiday. Looks wonderful and especially relaxing. 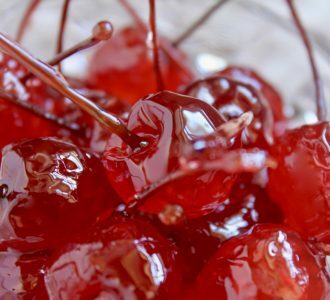 You are much too kind, but I just want to convey how I felt at the time and now, looking back. It is truly a most wondrous experience to take a river cruise, but especially with AmaWaterways. What a fabulous trip. AmaWaterways looks like an amazing company. I will check them out. 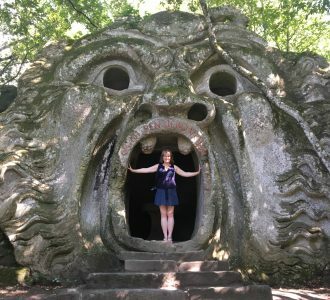 I am about to complete my own European River Cruise experience and can tell you I enjoyed t very much! Great to hear, Andi! So happy you were able to take a river cruise, too! How fabulous!!! Ironically, my husband and I are thinking about ‘dipping out toes in the water’ re cruising and have looked at various companies and itineraries. This one looks amazing. 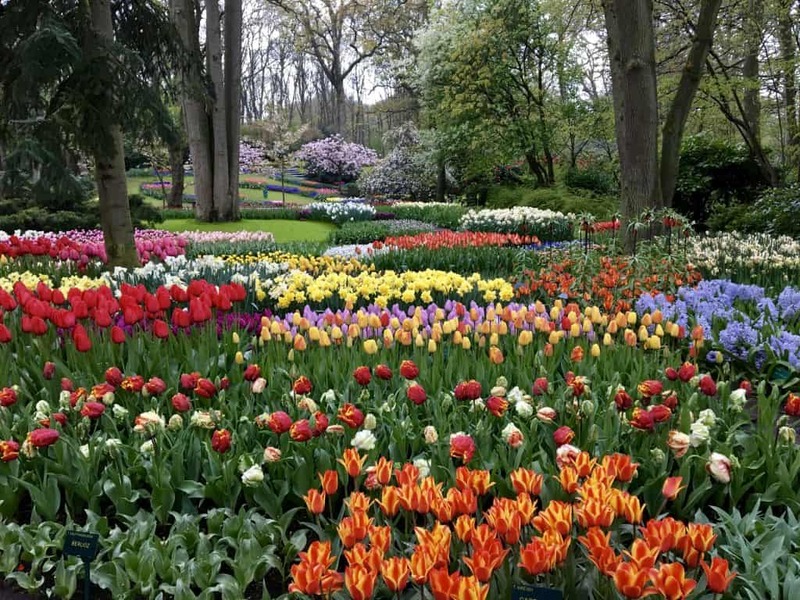 I remember going to the Keukenhof when I was a child (my mother was Dutch) and can still smell the fragrance in the air of the tulips, hyacinths etc apart from the visual explosion of colour. I’m so happy to hear this, Pat! Thank you for letting me know. Given that your mother was Dutch, I think you’d love to have a few days in Amsterdam before or after this itinerary, as my mother and I did. 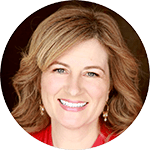 I’m so glad you’ll be following along- did you sign up for my email subscription? That way you won’t have to keep checking back to see when I have a new post. 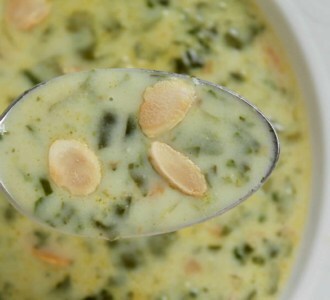 I have a recipe posting next, then you’ll see our first two days on the AmaCerto. We didn’t have the best weather during our cruise, but it didn’t matter, we had a brilliant time!